The school bus made its way down the narrow, gravel road and came to a stop beside Tumalo Creek. Marshall High School students in Melissa Wikler’s animal science class filed out one by one and gathered around bins full of clipboards, rubber boots, and habitat surveying equipment. On this day, they were not merely students, but biologists in training. Central Oregon is teeming with diverse ecosystems ranging from forests and lakes to mountains and vast deserts. These natural wonders provide great opportunities for recreating and learning. 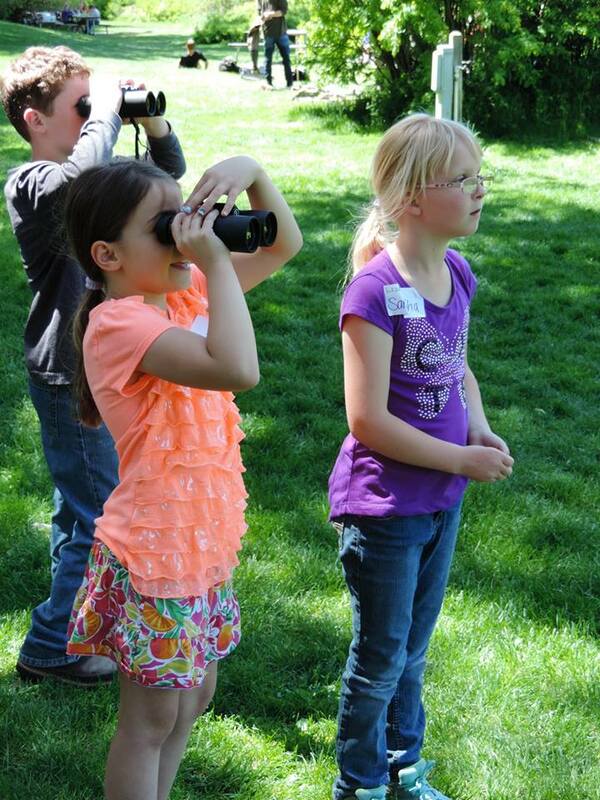 In September 2018, the Children’s Forest of Central Oregon was awarded one of four Environmental Education grants from the Environmental Protection Agency in the Pacific Northwest, which will expand outdoor learning opportunities available to students in Central Oregon. Specifically, the grant focuses on teaching students about the Oregon spotted frog, a threatened species under the Endangered Species Act. Through afterschool clubs, field trips, and family programs, students will work together to restore local watersheds and develop a deeper sense of environmental stewardship, ultimately improving critical habitat in the Upper Deschutes for the Oregon spotted frog. 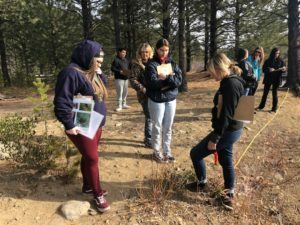 Wikler’s class is one of 28 classes that will participate in nature-based field trips as part of the Upper Deschutes Spotted Frog Stewardship grant. The day’s activities were led by Alyssa Grove, Education Coordinator for the Upper Deschutes Watershed Council. 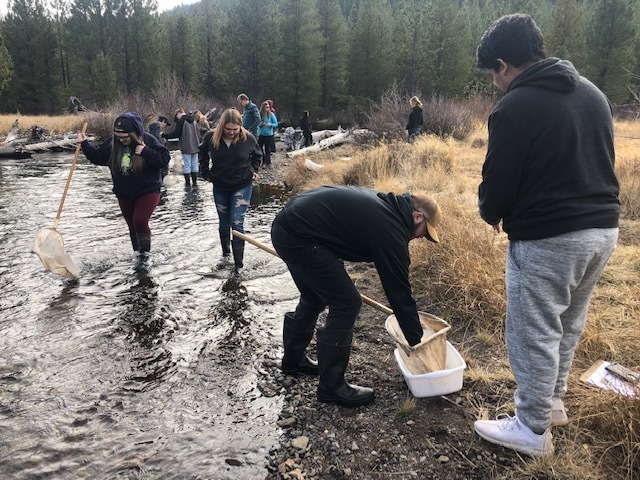 On this field trip, students took surveys of Tumalo Creek’s riparian zone—the area around the creek—to monitor water quality and examine macro invertebrates such as mayflies, aquatic worms, and stoneflies. They also participated in an Oregon spotted frog art activity. Wikler strives to get her students out on as many field trips as possible in her classes. She and her husband are avid mountain bikers and backpackers. They moved to Bend from Las Vegas last year. 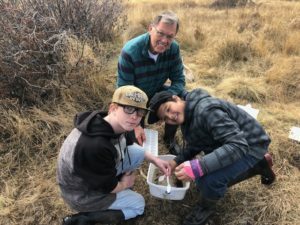 In addition to field trips led by the Upper Deschutes Watershed Council, the EPA Environmental Education Grant will fund educational stewardship programs with Trout Unlimited and the High Desert Museum, including new afterschool clubs at local middle schools and family programs. This grant is one way that the Children’s Forest of Central Oregon increases the capacity of our region to provide educational and recreational experiences in nature through collaborative projects with their network of partners. To learn more about our partners and areas of focus, visit childrensforestco.org.